In the 1960s, this intersection was famous for its bohemian life. Today, remnants of the hippie era mix with beautifully restored Edwardian and Victorian homes. 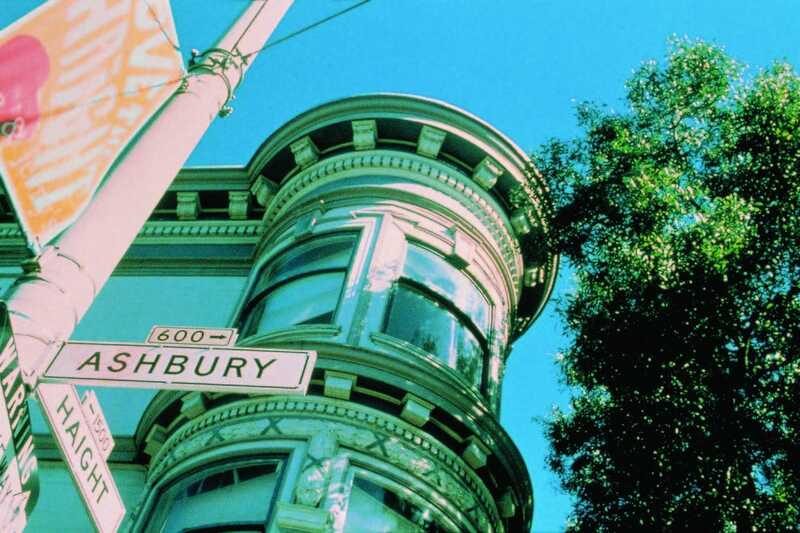 One, now a private residence, was formerly the Grateful Dead house (710 Ashbury Street). Wander the many parks, thrift stores and coffeehouses for current "ambience." Every neighborhood in San Francisco has its signature park, and Haight has its Buena Vista. Founded as Hill Park in 1867, it's the oldest official park in all of San Francisco. Covering only 37 acres, Buena Vista is just a spot on the map compared to enormous and nearby Golden Gate Park. But its peak at nearly 600 feet offers visitors one of the best views in the city. Although this snazzy bar gained local fame for unique cocktails, such as a classic New Orleans Sazerac "in a glass rinsed with a green bitter liquid that shall remain nameless," Alembic is making headlines for food, too. Inventive and surprising dishes appear daily, like Roasted Squid with Cranberry Beans. And Pork Belly Sliders are a welcome treat if you happen to get the late night munchies on Haight Street. Located on "Lower Haight," which is a stretch of this historic neighborhood closer to Kezar Stadium than the entrance of Golden Gate Park, Mad Dog in the Fog offers one of the best beer selections in the entire city. With over 150 different beers, you can take a trip around the world without even leaving your stool. With room names like "Flower Child Room" and a "Peaceful Arts Gifts Shop," the Red Victorian Bed and Breakfast will have you tripping back to the Haight of the 60's quicker than you can flash a peace sign. Reasonable rates, comfy rooms, super location and unforgettable characters like Sami Sunchild who hosts a "Peaceful Conversation" on Sunday mornings at 9. Like so much of the Haight itself, the Booksmith harkens back to olden days, when independent bookstores dotted the city and provided safe places for intellectual stimulation and community building. Get a taste of what it used to be like to walk into buildings called "bookstores" and purchase things called "books" by drifting through the friendly aisles of the Booksmith. Many on staff are successful local writers, so don't hesitate to ask questions.